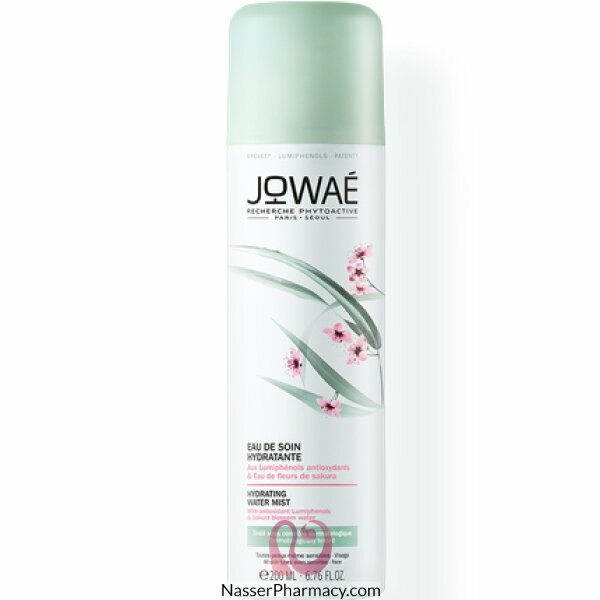 Jowaé Hydrating Water Mist 200ml is a care water with antioxidant Lumiphenols and Sakura blossom water. This care water is suitable for all skins types, even the most sensitives. It moisturizes, refreshes and awakes the radiance of the complexion. After application, the skin is moisturized and gently fragrance with Sakura flowers. The complexion is fresh and luminous. 97% of ingredients from natural origin.